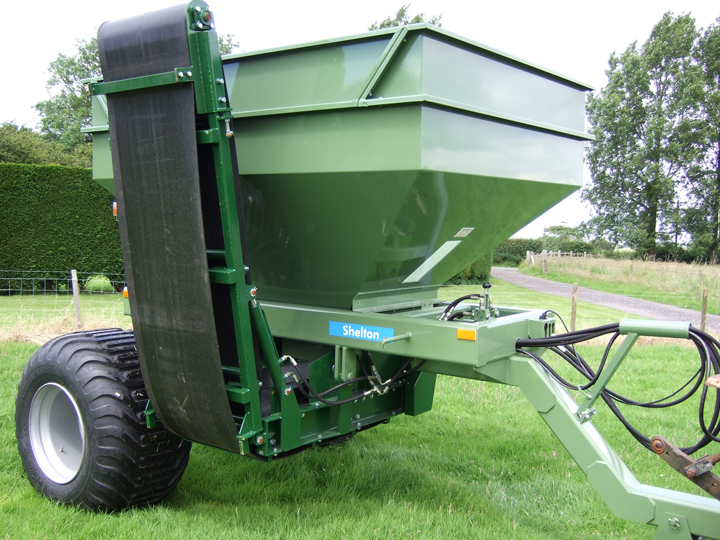 The Shelton Dump Trailer is a 5 tonne trailer ideal for collecting excavated soil from Supertrenchers. With a capacity of 5 tonnes and an overall height of only 1400mm (55”), this robust dump trailer is designed for easy loading. 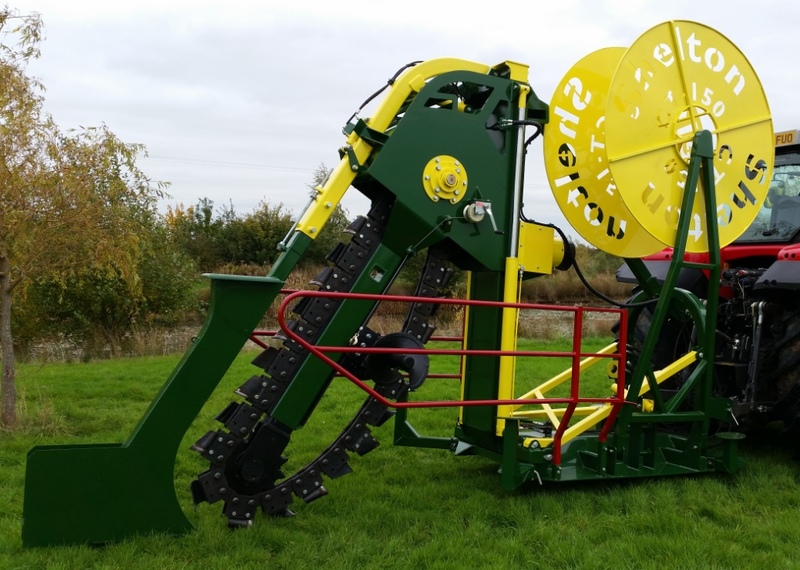 It is ideal for collecting soil from conveyors fitted to sports turf trenching machines and can run alongside our Supertrenchers and Chain trenchers. 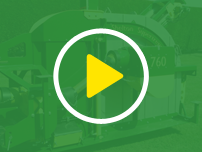 Capable of running on a tractor of only 40+hp, the dump trailer’s four low ground pressure turf tyres on two rigid axles are designed to protect fine turf. 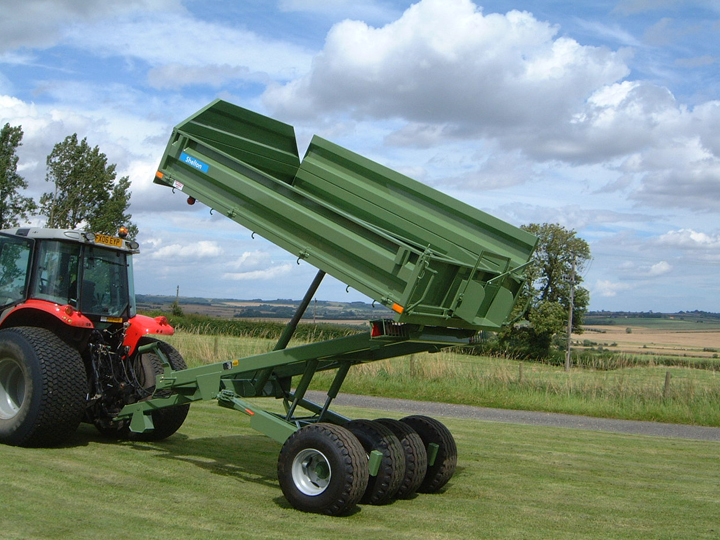 The trailer’s vertical tipping capability makes for rapid unloading. Of monocoque construction the high build quality of the dump trailer incorporates full road lighting to EC legislation with side reflectors, road brakes and a parking brake. ​For more information or to arrange a demonstration please contact us.